A CURE FOR HEADACHES: TAKE A LIME, CUT IT IN HALF, AND RUB I - ProudMummy.com the Web's Community for Mums. 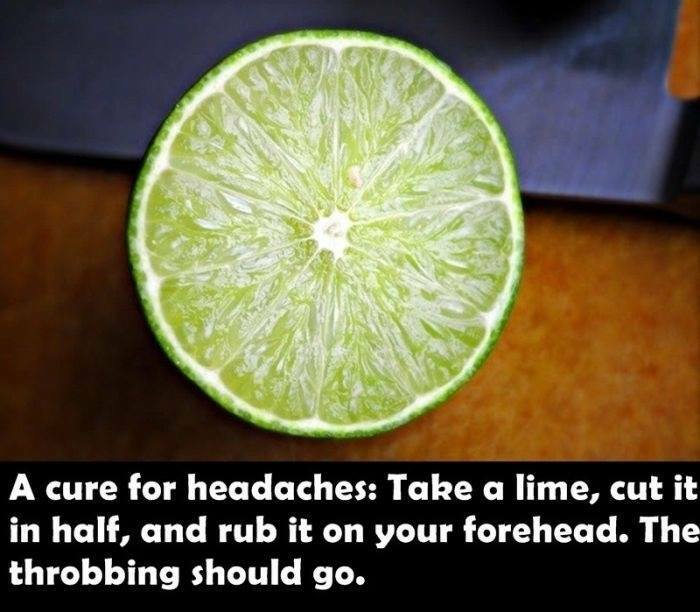 A CURE FOR HEADACHES: TAKE A LIME, CUT IT IN HALF, AND RUB IT ON YOUR FOREHEAD. THE THROBBING SHOULD GO.